A recent white paper from Alcatel-Lucent (News - Alert) titled "The Enterprise Network Partner - Management & Transformation," notes that enterprises are increasingly outsourcing voice and data network management and transformation to equipment vendors, systems integrators, and managed service providers. This is good: "A knowledgeable global communications solution provider can offer the managed services needed to efficiently and cost effectively administer the enterprise network from end to end." Yet if you want to transform a data network to accelerate traffic to centralized data centers, or a legacy voice network into a converged and unified communications network, you need "new technologies, tight integration, solid security, and far more efficient use of internal and external transport networks," the white paper says. 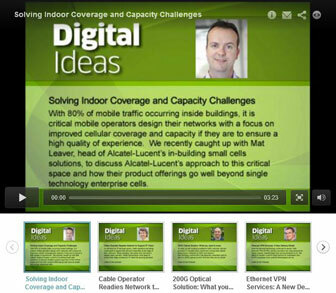 The Alcatel-Lucent study addresses the benefits of working with a managed service provider to handle the management and transformation of enterprise voice and data networks. Voice and data networks are critical, of course, but providing an adequate focus on these networks in the context of the company's overall IT operations can be daunting, requiring considerable attention and an expert team. Network operations run the risk of diverting resources and focus from the core business, which makes it a prime candidate for outsourcing. A recent CIO blog from Aberdeen (News - Alert) Group said that telecom and network services expenses now amount to 3.6 percent of revenue - or 12 percent to 18 percent of all expenses for Fortune 500 companies. Obviously it demands attention. The enterprise network is the backbone of the IT infrastructure since it's the link between customers, suppliers and the enterprise. It's a primary means to contact and respond to customers, and both the web and the enterprise's contact centers are used to promote, sell, and deliver goods and services to customers. Extranets linking the enterprise to its partners and suppliers facilitate joint efforts and the maintenance and servicing of joint accounts, and as the white paper explains, "these same voice and data networks support employee communication and promote productivity… overall, the network is a prime element in the enterprise's engine for growth." The paper concludes that "maximizing the effectiveness of the enterprise network while keeping costs under control is a key objective for every business that wants to remain competitive in today's marketplace."